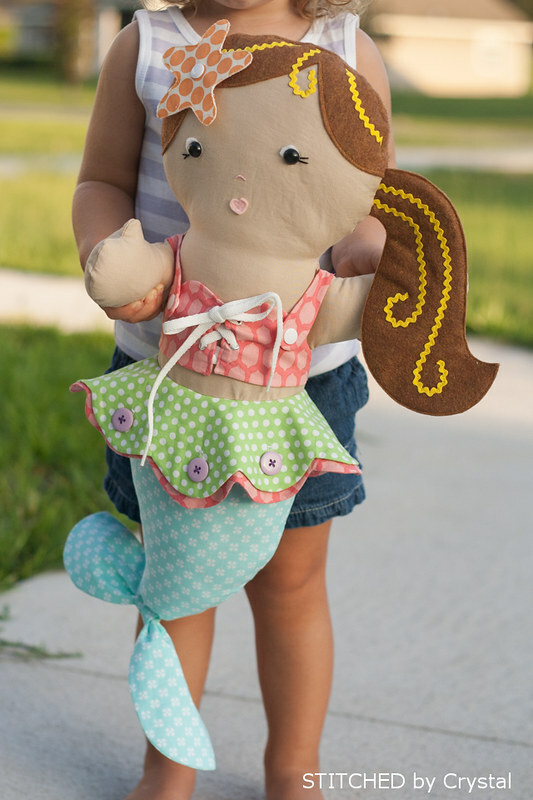 STITCHED by Crystal: Marissa Mermaid and a giveaway! Marissa Mermaid and a giveaway! 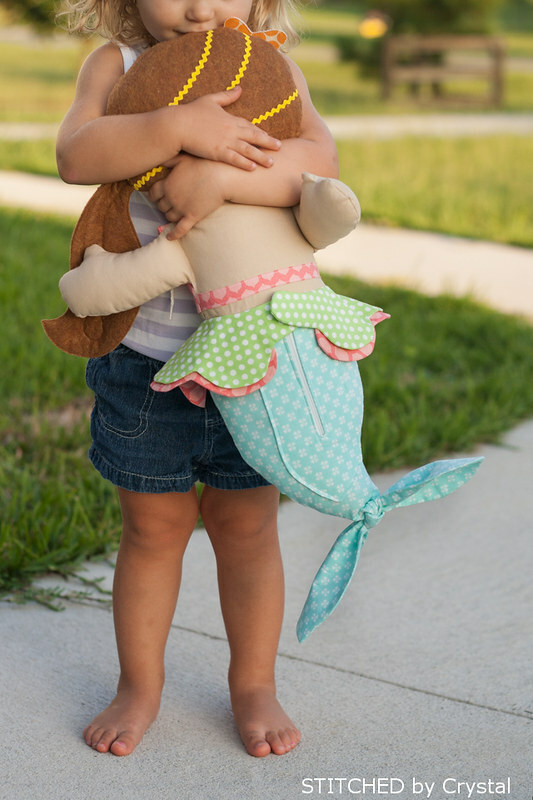 If there was ever a perfect sewing pattern for me to sew I think the Marissa Mermaid Doll by Ruby Jean's Closet has be it! Seriously, it's got my name written all over it! 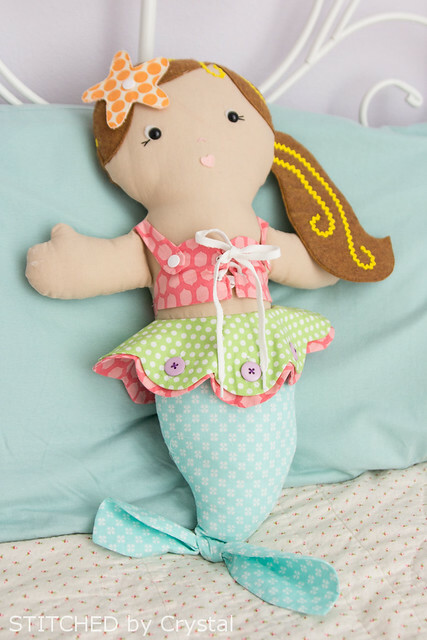 I love sewing dolls, I have loved mermaids since I was a little girl (maybe an embarrassing fact about me...my room in college was decorated with mermaids everywhere :) ), and I am an occupational therapist so I get excited about things the work on fine motor skills. This adorable doll combines all of those loves for me! And a bonus....my daughter loves her too! Marissa measures 22" tall and she's got snaps, buttons, velcro, a zipper, and a tie to help your little one improve their fine motor skills while they play. Sewing this mermaid was such a fun change from all the clothing I have been sewing lately. She has lots of pieces, so she takes a bit of time to make, I had mine done in a little over three hours. Looking for a doll like this for a boy? Check out her shop! She has SeaBiscuit the seahorse and Iggy the penguin too! 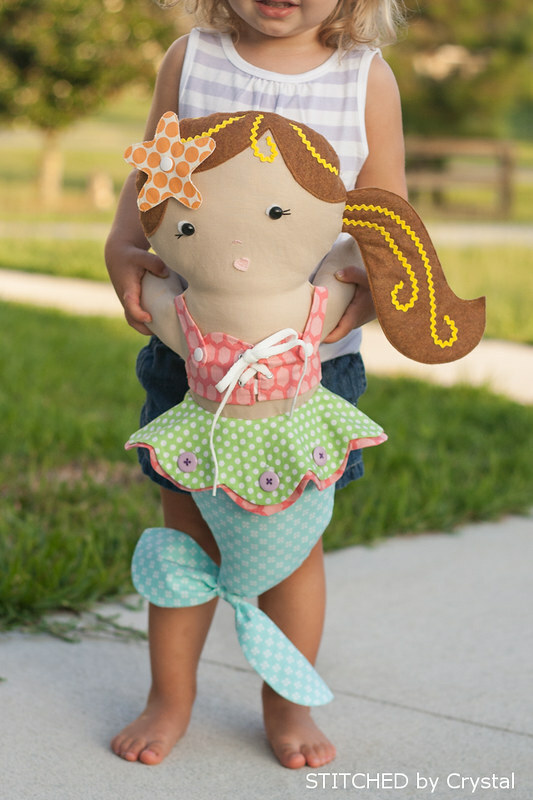 Want to sew up one of these adorable dolls too? Ruby Jean's Closet is going to give one lucky winner all three of the fine motor skills dolls! To enter, just fill out the rafflecopter below! This is so cute! My big girl would love this, too. Love Marissa for my niece Aja! My daughter would love the mermaid and the seahorse too! I would probably sew the penguin or seahorse.for my son. Oh, either the mermaid or penguin for my daughter, she's determined to learn to tie laces! Perfect for my grandchildren! My occupational therapist daughter in law would love these for her job too! I think the Penguin would be perfect for sewing donations for the FLUFF Project at Hopeful Threads....so while I'd love to sew them all, I think I'd choose that one first! :) Thanks for the chance! Sea biscuit as my daughter is changing her room to summer/ocean theme as she love sea horses. I am in love with the sea horse and iggy. I would probably pick the penguin for my grandson who is turning three in December. 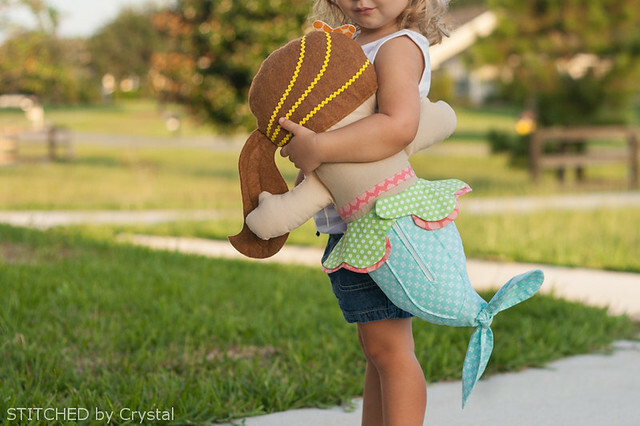 I would definitely sew the mermaid first...two of them actually...for my two girls that LOVE mermaids also! Definitely the mermaid for my little girl!